NORTHERN PINE SNAKE 4 years old all livestock will be on customer collection only basis as we will not send animals by mail. Native to: Gopher Snakes (P. catenifer) are from the western United States and can be found as far north as Canada and extend as far south as Baja, Mexico. Pine snakes (P. melanoleucus) are generally found throughout the southeastern portion of the United States and as far north as New Jersey. Bull Snakes (P. sayi) are found throughout the central United States and can be found as far north as Canada and as far south as Mexico. Size: All members of the genus Pituophis are the some of the largest colubrids found in the United States and will often range is size from six to eight feet in length. General appearance: All three species listed above are large bodied snakes with similar markings and slightly keeled dorsal scales. These snakes have a background color that ranges from reddish orange to tan to yellow with dark blotches on the back. Housing requirements: Enclosure: A 20-gallon or larger aquarium with a secure top is needed at the very least for these snakes. Larger specimens may require a larger enclosure. Temperature: A temperature gradient of 75° - 85° F should be setup for these snakes. Temperatures may be allowed to fall closer to 75° F at night. Heat/Light: Under the tank heaters, red heat bulbs, ceramic emitters, or basking bulbs can all be used to provide enough heat for these snakes. We do not recommend hot rocks since these often malfunction and can cause serious burn injuries to your pet. By using a timer and a basking bulb you can easily achieve warmer day time temperatures as well as a photo period for your pet. It has still not been proven that snakes require any source of UV light and will generally do well without it. Substrate: Many of these species like to burrow so providing substrate such as potting soil, Back-2 -Nature, aspen shavings, cypress mulch or ground coconut fibers can provide excellent substrates which also allow for burrowing. You can also use newspaper or indoor/outdoor carpeting as well. Environment: As mentioned above these snakes will often take advantage of substrates which allow them to burrow. They will also occasionally climb trees, so if cage space allows for branches you will often find your snakes taking advantage of the higher space. It is important to provide a hide box or enough rocks to allow the snake to feel secure and out of view. 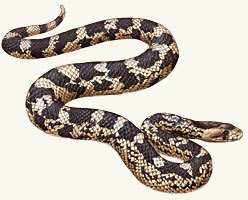 Diet: Like most other snakes, members of Pituophis thrive on rodents. We recommend pre-killed frozen prey since it will help eliminate possible injury to the snake from the prey animal as well as kill most parasites. 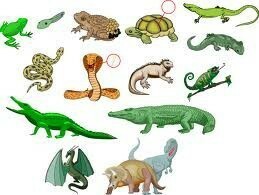 Meal sizes should be proportionate to the size of the snake. Hatchlings can be started on pinkies. All snakes can generally be fed once every seven to 10 days. Maintenance: Fresh water should be offered daily. Spot clean as needed if using newsprint or wood shavings. The enclosure should also be disinfected periodically. A 5% bleach solution makes an excellent disinfectant. Be sure to rinse the enclosure thoroughly after disinfecting. As always, be sure to wash your hands thoroughly after handling your snake or any cage accessories.